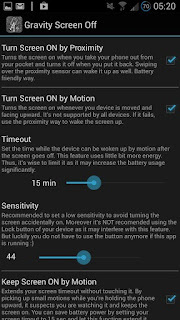 Gravity Screen - On/Off (Android) ~ Android Forever! Developer Quote: "Using your phone often? Tired of the On-Off switching? 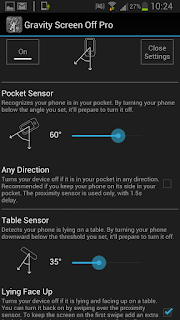 This app turns automatically your screen off when you put your phone into your pocket or onto a table and turn the screen on when you take it out or up. No need to touch any button and you are ready to go." 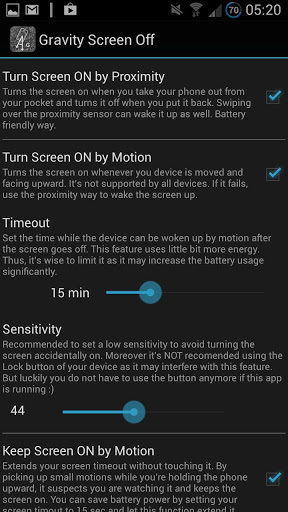 Let gravity do the work instead of the constant use of your On/Off button. 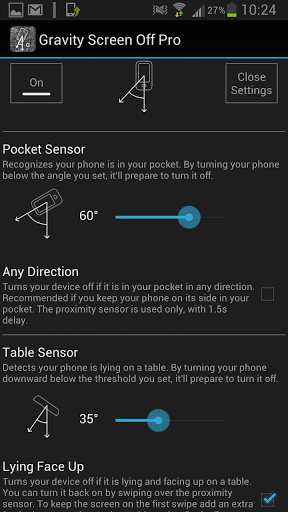 With tons of customization options this app makes it simple to have your phone's screen turn off when you place it face down or in your pocket.